If you are looking for a unique and memorable Southwest Florida experience, the Conservancy of Southwest Florida’s eco-cruise through Rookery Bay is all that and more. Mother Nature does the entertaining here. Located just south of Naples, Rookery Bay is one of the few undisturbed mangrove estuaries left in the U.S., and one of only 28 National Estuarine Reserves. a natural backdrop for education as well as a laboratory for biologists, teachers, and students. Protecting this threatened estuary was the first accomplishment of the fledgling Conservancy, founded by a group of concerned citizens, more than 50 years ago. Today, the Conservancy of Southwest Florida offers a unique opportunity for its members and visitors to explore the beautiful area it saved more than 50 years ago. Conservancy naturalists and a Coast Guard certified captain will guide you through Rookery Bay aboard the Good Fortune II, a comfortable 35 passenger pontoon boat. Good Fortune II adventures include daily “Mid-morning” and “Classic Sunset” cruises, as well as a selection of specialty cruises and private charters. Coast Guard certified boat captains, accompanied by trained naturalists, help spot and identify wildlife, and provide guests with an experience that is both relaxing and informative. 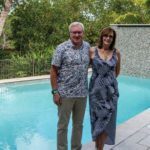 “The Good Fortune II offers residents and visitors a very intimate and personal way to learn about Southwest Florida’s environment,” Moher said. 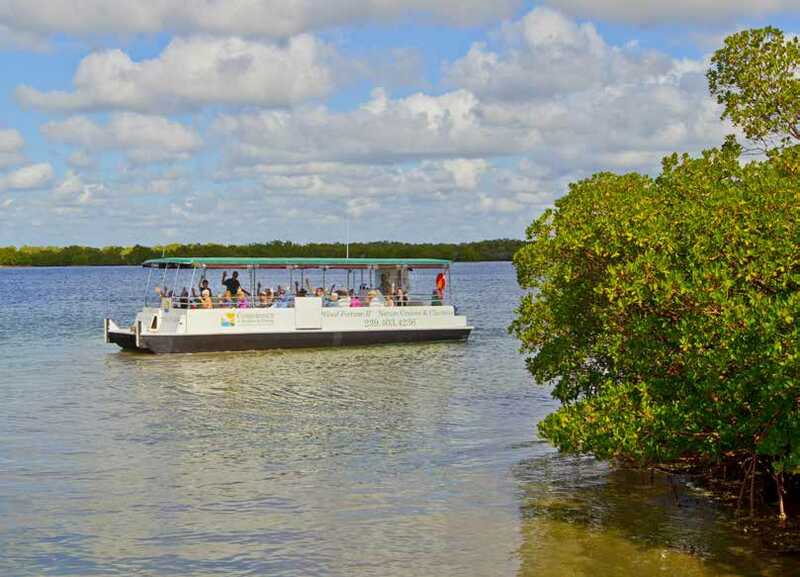 “Taking a ride through the mangroves, guests might spot a dolphin, manatee or a bobcat. • Cruises last approximately two hours. • All cruises are subject to weather conditions and tide. For more information about Good Fortune II eco-cruises; call 239-215-2500 or visit www.conservancy.org/goodfortune. The Conservancy is a not-for-profit grassroots organization with a 55 year history focused on the critical environmental issues impacting the water, land and wildlife in Collier, Lee, Glades, Hendry, and Charlotte counties. This is accomplished through the combined efforts of environmental education, science, policy, and wildlife rehabilitation. 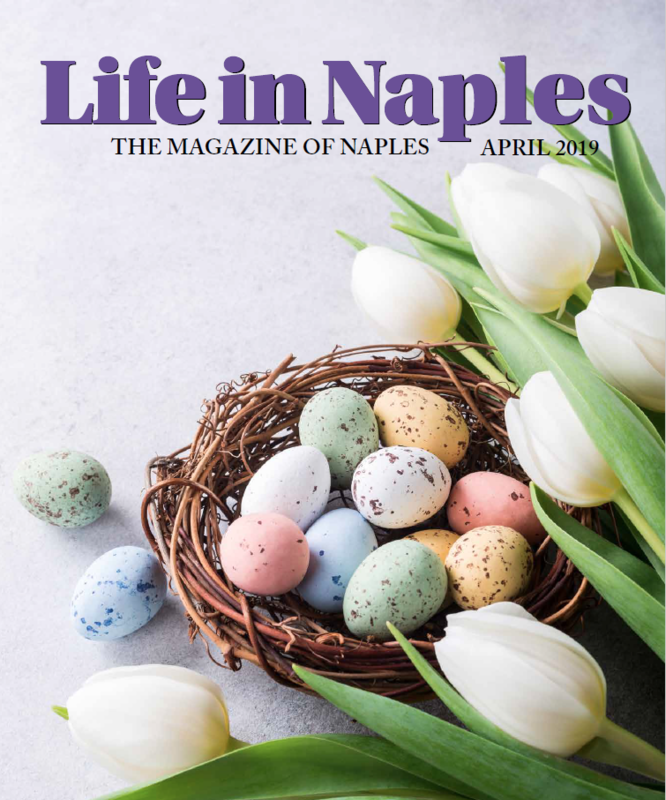 The Conservancy of Southwest Florida, world-class Nature Center and von Arx Wildlife Hospital are headquartered in Naples, Florida, 1495 Smith Preserve Way, south of the Naples Zoo off Goodlette-Frank Road. Learn more about our work and how you can support the quality of life in Southwest Florida www.conservancy.org.